A California woman, who was seriously burned by an exploding electronic cigarette, won a jury verdict of almost 2 million dollars from distributor, wholesaler and seller of the defective product. Jennifer R. of Corona was on her way to the airport to Brazil plugged in her VapCigs e-cigarette charger, and it spewed hot metal that ignited her dress. Although the full name of this individual was known, subject to easy search online, in the news, I would still respect her privacy and not disclose it in this article. Jennifer’s husband, who was with her in the car, tossed an iced coffee on her to extinguish the flame that caused second-degree burn to her buttocks, thighs and hand. The couple missed their flight to Brazil, where they had planned to help build a community center for children in the slums of Rio de Janeiro, and Jennifer R. ended up at an urgent care facility and a burn clinic the following day. After a six-day trial, a Riverside Superior Court jury awarded $1.9m to Jennifer R. in the lawsuit against VapCigs, which distributes the Chinese-made e-cigarette and charger, wholesaler Cartons 2 Go and retailer Tobacco Expo. This type of legal action is called product liability, which is essentially designed to hold all merchants liable for defective goods that are placed in the stream of commerce. I was once around a family friend who, at the time was attempting to quit smoking, utilized this device that generated vapor. To this date, I am still uncertain how this product functions. But, then again, I can careless as I have no interest in the use of this merchandise. The smell of the vapor or smoke from the e-cigarette (burned chemical-like) was disgusting and unappealing. It made me sick. Actually, I thought it was worse than the odor created by the real tobacco, which is just as repulsive and unattractive. Another time, I saw a woman smoking a big pipe, and initially I thought she was using a bong. 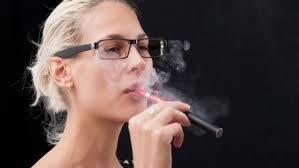 Then, I realized it was perhaps an electronic cigarette. She looked very unhealthy and pale. It may appear glamorous in the ads, showing attractive people smoking, but it will not be glamorous and attractive anymore if your face is on fire. Be smart, be aware, and be cautious out there! get fastidious data from here everyday. useful & it helped me out much. I’m hoping to offer one thing again and help others like you aided me. now this time I am visiting this web site and reading very informative articles at this time. It is really a nice and useful piece of information. I am happy that you shared this useful info with us. net, but I know I am getting knowledge every day by reading such pleasant content. formidable task and our entire community will probably be grateful to you.